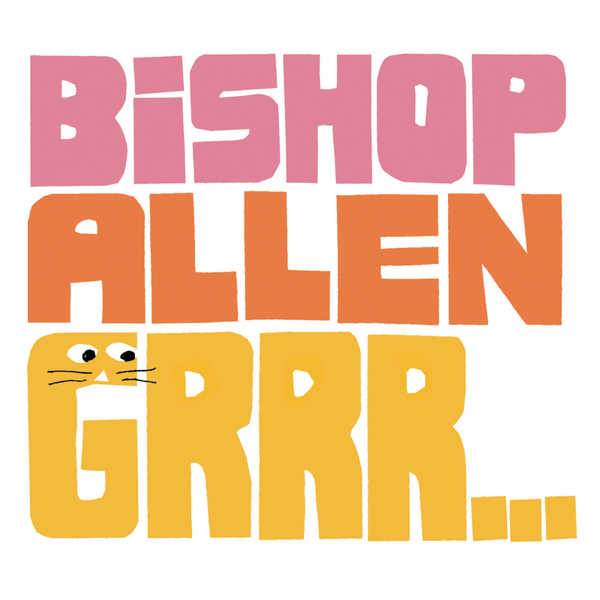 Bishop Allen have enjoyed a slightly raised profile since their last album arrived, partly thanks to the band's songs being featured in Sony TV adverts and partly due to an appearance (performing 'Middle Management') in Nick & Norah's Infinite Playlist. Indeed, two of the band's members are no strangers to appearing in the movies - Justin Rice and Christian Rudder have both appeared in films by cult director Andrew Bujalski. Don't think they're just a bunch of part-timers when it comes to the music though, Grrr... proves they can deliver on several fronts. In addition to writing the songs, the overwhelming majority of recording and performing is split by the two of them. You'll hear marimbas and ukuleles lining up alongside all the more commonplace instrumental elements, and it's all down to the handiwork of Rice and Rudder. Thrown into the bargain the band rope their pals into assisting with drums, horns and strings, even getting Bryce Goggin (whose prior credits include Pavement, Sebadoh and Luna) to mix the album. The end result is an utterly charming slice of modern American indie rock, destined to find favour with fans of bands like The Shins, The New Pornographers and Vampire Weekend.